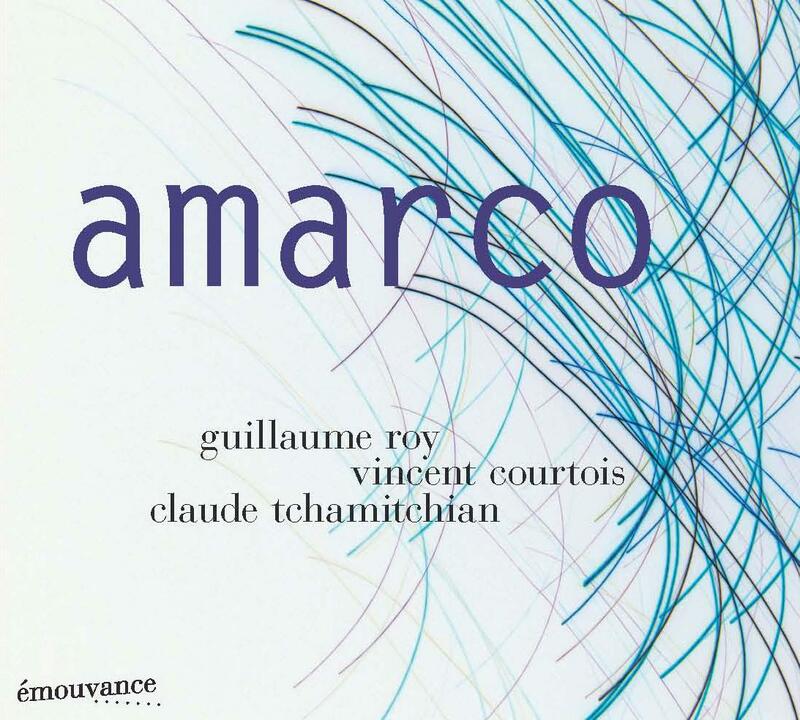 Apart from the Masada String Trio, there aren't many trios of violin, cello and bass to be found in modern jazz, yet here is one from France, and one with equally seasoned virtuosi: Guillaume Roy on viola, Vincent Courtois on cello and Claude Tchamitchian on bass. As can be expected from the line-up, this is chamber music, but one that goes far beyond the classical notion of the music, and far beyond the sweet melodies of the Masada songbook. The music, the sounds, the approach are new and fully improvised. The music floats, is melancholy, or full of intensity, full of distress, or full of drama. Listen to the first piece, listen how the tune is built up gradually, out of soft touches on strings, some pizzi cello, then gradually the bass takes over the core rhythm to the very end, for the viola to start adding bowed tension, just to have the cello switch magnicently and shortly to arco, piercing, profound. The title piece is romantic classicism, with all three instruments bowing around a tonal center,with deep sadness and melancholy, moving slightly away from each other, which accentuates the sadness even more, then all three go into higher regions, before the bass bows the last incredibly deep tones. It is hard to believe that this is improvised, yet it is. "'Champ Contre Champ" starts with a crazy rhythm on bass, and viola and cello kind of fight their way through the piece, duelling, circling around each other, while the bass keeps on plucking, then bowing the same rhythm hypnotically onwards. It is also incredibly creative. The eleven relatively short pieces each tell their own story, invite you in a different context, but then without losing the overall coherence of the album. But why am I ranting on .... this is remarkable music by three fantastic artists. Judge for yourself on the long clip below, that gives an entire performance by the trio. Don't forget about Arcado Trio: Mark Dresser - bass, Hank Roberts - cello, Mark Feldman - violin. 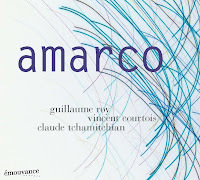 When I listened "Amarco" I thought about Arcado. Yes, thanks. I forgot about Arcado Trio. Exist also the "open field string trio"